Most crawl space issues are related to the ventilation system used in older construction methods. Traditionally, crawl spaces had vents that were supposed to relieve excess moisture from the air, keeping the crawl space dry. Experts now know that this does not work, but instead allows much more variation in humidity. Remove debris, clean & prepare the space. 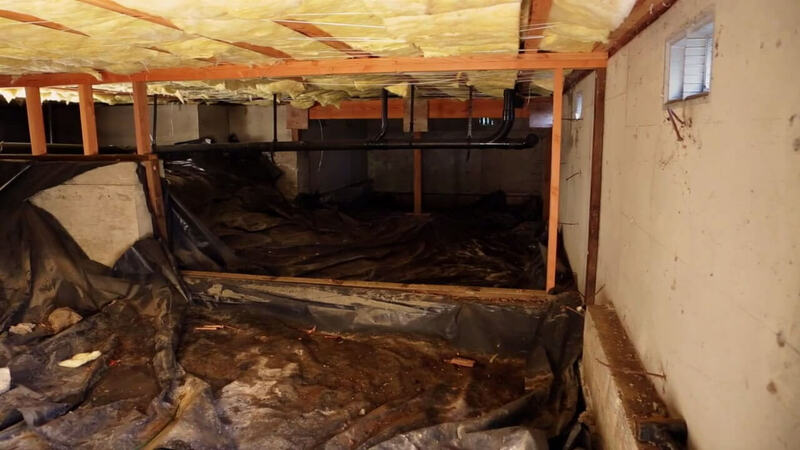 Remove fallen insulation and scrap material from the crawl space. Clear the space of large rocks and debris to establish a smooth, even grade. Abate any water issues that may exist. Eliminate any uncontrolled water sources and standing water, and if needed, install an internal drainage system. Insulate and seal the perimeter. Using our exclusive EnerLoc Panel insulation, treat all perimeter walls with the only product that currently meets all federal Fire and Insulation codes. Install drainage matting and vapor barrier liner. Install base material liner to allow water drainage under the encapsulation material. VaporLoc Elite, a 120 mil thick liner, is installed on the floors. A 2-step bond and tape process is used to permanently seal floor liner seams. Moisture dehumidifier is installed to reduce relative humidity to less than 60% for greatly increased air quality: reduced mold/mildew growth, musty smells and warping/rotting wood. Greatly reduces musty smells, with an EVOH layer that seals out odors. Creates a clean, dry, sanitary, usable storage area. 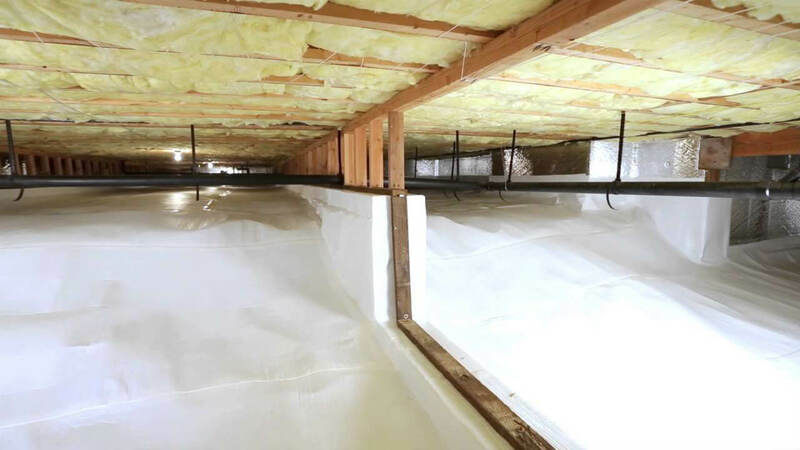 Insulates crawl space and reduces energy costs. Reduces allergens such as mold and dust mites throughout the home. Greatly improves indoor air quality throughout the entire home. Eliminates excessive, destructive moisture, which could lead to wood rot.